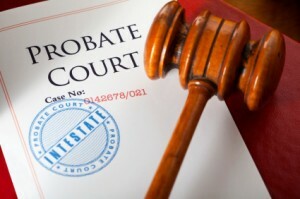 Many people have the idea that probate is something bad or something that must be avoided. In reality, probate is simply the court procedure by which a deceased person’s estate is administered. Texas law makes the probate procedure relatively streamlined for the heirs/beneficiaries of a deceased loved one’s estate. Probate can be done whether the decedent left a will or not, though the process is typically a bit easier (and less expensive) if the decedent had a will. “Testate Estate” may sound like a tongue twister, but it simply means that the person who passed away left a valid will. The person named as executor in the decedent’s will should apply for probate in a testate administration. When you apply to probate, the court will hold a hearing to determine if you are qualified to serve as the estate representative. If the court finds that you are qualified, it will issue letters testamentary to give you the authority to administer the estate. Administering an estate is a lot of responsibility. The executor will usually be granted authority to settle estate debts, sell or transfer real property, distribute testamentary bequests, sell or transfer personal property, file tax returns and pay estate taxes, and even sue on behalf of the estate. An intestate estate is one in which the decedent did not leave a will. If your loved one passed away without a will, there will need to be a declaration of heirship. The purpose of this process is to identify who is entitled to inherit from the decedent. In Texas, the surviving spouse, is an heir of the decedent, as are any children (whether biological or adopted) of the decedent. Step-children, unless they were formally adopted by the decedent, are not heirs. In some situations, a decdent’s surviving parents or siblings may be entitled to inherit property from the decedent. The Texas Estates Code controls the distribution of a decedent’s estate when the person dies without a will. Each family situation is different, so it is important to hire an experienced probate attorney to figure out how an estate should be distributed. The heirship determination often happens in conjunction with the order for an administration. Once someone is appointed as administrator for the estate, that person has essentially the same duties that a person who is appointed as an executor in a testate estate would have. It can be very challenging and very sad to watch a loved one lose the ability to care for himself or herself. Incapacity is often associated with Alzheimer’s Disease or age-related dementia, but it is actually defined more broadly than that. Incapacitated basically means that the person is incapable of making important decisions for himself or herself. A person who is not elderly could become incapacitated due to an injury or accident. A person could be incapacitated due to congenital conditions such as severe Autism or mental/developmental disabilities. No matter the cause of the incapacitation, it is critical for a trusted person to be able to step in and have the legal authority to care for the incapacitated person. In Texas, courts will require proof that so-called “less-restrictive alternatives” are not enough to protect the incapacitated person before ordering a full guardianship. Less-restrictive alternatives can include a variety of measures depending on the incapacitated person’s needs. If the person needs help managing his or her finances, sometimes a statutory durable power of attorney can suffice. Management trusts are another good alternative for protecting an incapacitated person’s finances and other resources (referred to under the law as an “estate” even while the person is living). On the other hand, if the person is making poor decisions that affect his or her health, there are less-restrictive alternatives geared towards protecting the person’s physical well-being. For example, a if the person is a danger because he or she insists on continuing to drive, a court order to prevent the person from driving may be useful. Getting the incapacitated person into an assisted living facility may also be enough to keep them safe. The proposed alternatives really depend on the specific situation. Sometimes, however, these alternatives are not sufficient to protect the incapacitated person. In these cases, it really is warranted to seek a legal guardianship. When the court appoints a guardian for someone, the guardian then has a lot of power over and responsibility to the ward. The court will typically name a guardian of the person, and in cases where the ward has significant assets that need to be protected, the court will also appoint a guardian of the estate. The same person may serve as both, or the court may appoint different people to serve each function. The court could also appoint a bank as guardian of the estate. The court can tailor each guardianship, to a certain extent, to fit the needs of the ward. If you are considering seeking a guardianship for someone you care about, it is imperative to consult with an experienced guardianship lawyer. We understand how stressful it can be to be the one who steps up to care for an incapacitated loved one. We will explain the options available to you and treat your situation with the care it deserves.